Original illustration: ink fineliner on paper, April 2010. This image is from the RedBubble t-shirt previewer. I drew this as just a little sketch and my husband turned it into a RedBubble friendly t-shirt. I am very happy with how it turned out. If I can say so myself. I posted it here and here. The first one is my RedBubble Profile, the second is my Bubblesite. The Profile allows users to comment on images and favourite them, the Bubblesite is an online store. On Parenting, scheduled feeding vs demand feeding, breastfeeding etc. As a mother, with a preference for finding natural (as possible) “methods” of raising my children, it surprised me that many women head in the opposite direction. The key word is not natural but control. The mother makes the rules. While I agree that parents do need to set a standard of behaviour and self-control for their children, I can’t understand why it seems necessary to punish newborns for their natural behaviours. In the Christian sense, the Bible in itself does not point to any one method of parenting as being particularly correct. Where oh where did our Lord use the phrase “demand feeding”, because I’ve read the Bible cover-to-cover more than once and I haven’t seen it in there yet. It would seem that some parents ascribe to a fairly rigid set of beliefs when it comes to parenting. I must say that I fully believe that parents should have freedom in raising their kids, but some parenting methods do trouble me. With that in mind, I wanted to share this link that a friend sent me recently. It explores controversies surrounding a particularly popular “Christian” method of parenting (a method which I do not use). My personal philosophy is that people should have a good overview of the different sides to an argument before settling on a particular position. In this case, I have heard very little in the way of informed critique of this method. Surely everything should be scrutinised. The testimonies of people who have used this method are interesting, and would be useful reading for a Christian parent trying to assess both the pros and cons of this parenting method. The hospital in which I gave birth promoted demand feeding, long-term breastfeeding and flexible parenting schedules. They spent a lot of time explaining the importance of flexibility in breastfeeding, as a baby’s needs change throughout infancy. Sometimes a baby will need a lot more milk, especially in hot weather and growth spurts, and this will mean more frequent feeds. As I successfully breastfed both my children for almost 2 years each, can personally attest to the effectiveness of demand feeding. When my children were very young, my philosophy was simple: I will sacrifice the time and energy necessary to raise them in a healthy, natural way as far as I am able. Have a look at websites like the Australian Breastfeeding Association to find out more on breastfeeding. Is there a parenting website that you use and find helpful? Feel free to mention it here in the comments. Just keep in mind that comments with two or more links will be automatically filtered as spam! just a quick note to say that if it looks like I have disappeared from my blog for a while, it’s because I’m busy slaving over a series of assignments for my uni studies! Hope you all had a happy and safe Easter. 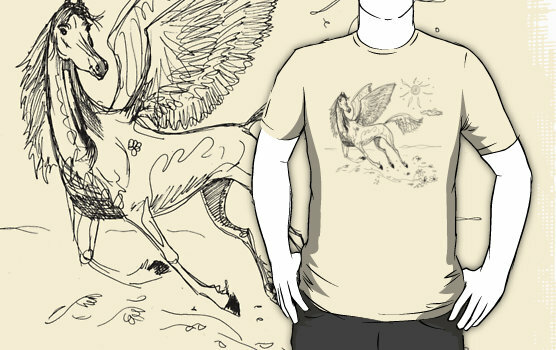 There is plenty to look at on here so please feel free to browse, or have a look at my RedBubble Bubblesite at http://flokot.redbubble.com/. You are currently browsing the The Amalgamation blog archives for April, 2010.